You have all heard of a birth month gem, but did you know there are birth month flowers? We can take that one level further, and find there are also birth month Orchids. From the origin of a flower’s name to its distinctive characteristics and rich mythology, flowers are infused with symbolism and meaning. September: Oncidium, abbreviated as Onc. in the horticultural trade is a genus that contains about 330 species of orchids from the subtribe Oncidiinae of the orchid family (Orchidaceae). The delicate flowers sometimes resemble a chorus of ladies in long flowing dresses. Most people are familiar with the yellow dancing ladies, but are not aware than Oncidiums can come in a variety of colors, including pink, purple, orange and brown. 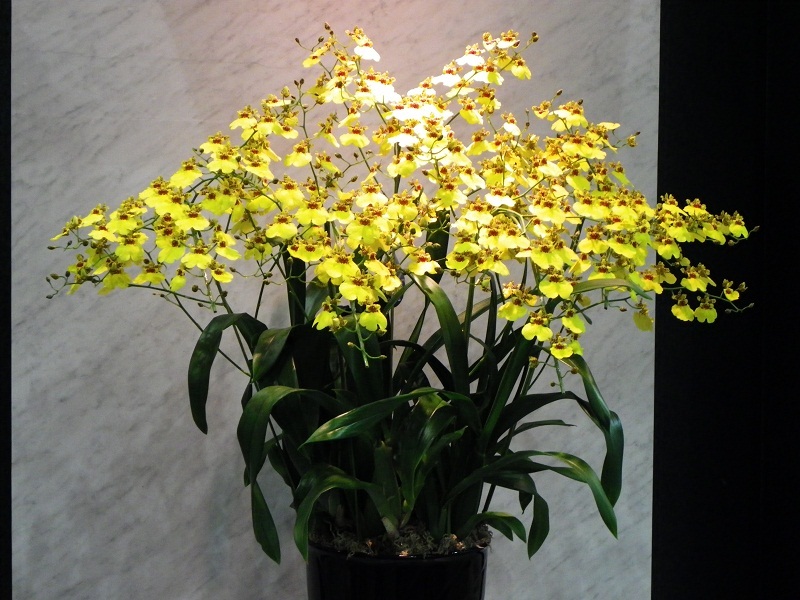 September’s Birth Month Orchid is the Oncidium, or Dancing Ladies Orchids. Those who study Floriography are trying to unravel the hidden mysteries and uncover these floral gems and open you up to a whole new language – the language of flowers. The Japanese call it Hanakotoba, and King Charles II brought it to Sweden from Persia in the 17th century. Hanakotoba is the Japanese name for associating certain flowers with different meanings. It is an age-old art form. Floriography – a fancy name for the language of flowers – was coined in the Victorian era, and while its original translations may have shifted over time, the notion that through flower symbolism we can express what we want to say (and may not be able to speak out loud) still holds true. 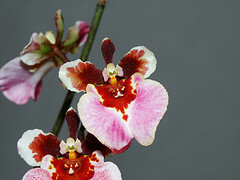 The BIRTH ORCHID for September is the Oncidium.